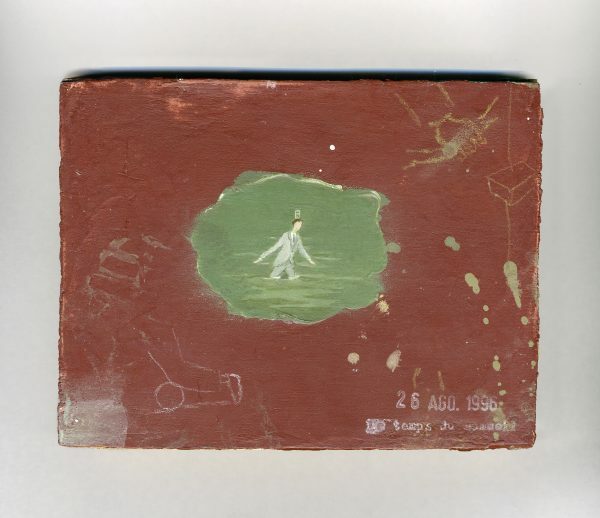 Francis Alÿs is known for his discreet performative solo actions as well as for coordinating large-scale collective allegorical events. 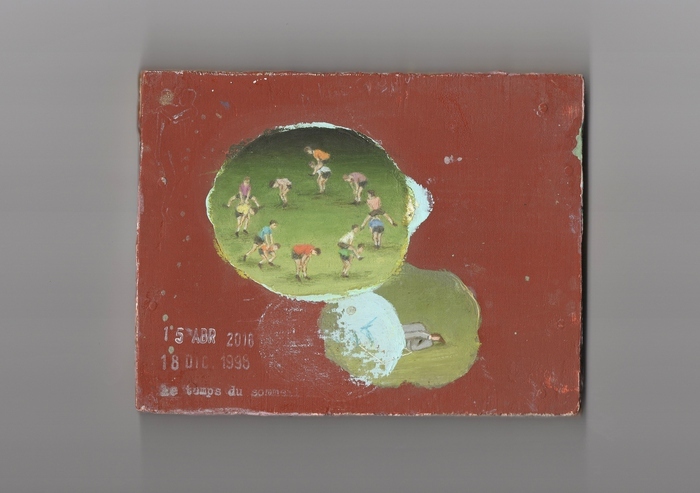 In Le temps du sommeil, the centerpiece of this exhibition, he presents a work whose subtlety and inscrutable quality make it a paradigmatic example of his oeuvre at large. 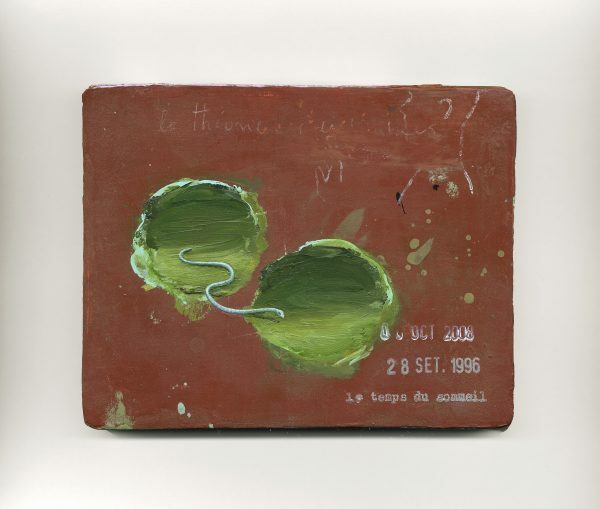 Le temps du sommeil (1996–) is a series of 111 paintings created over the course of two decades. 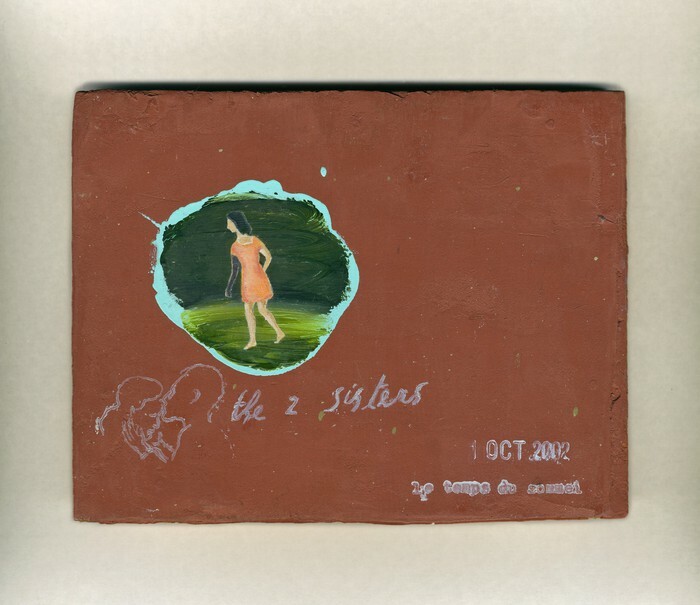 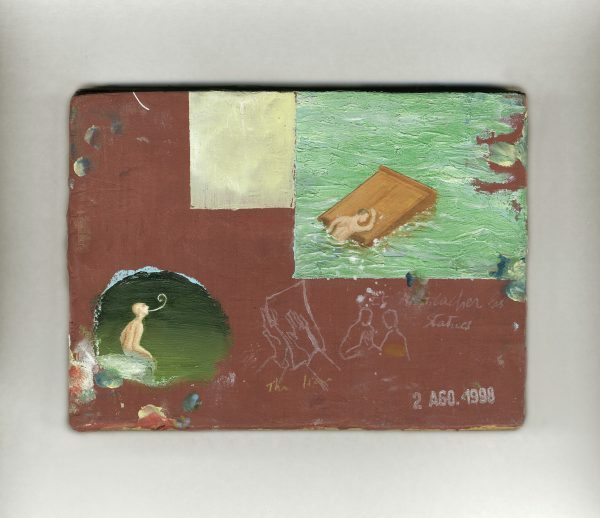 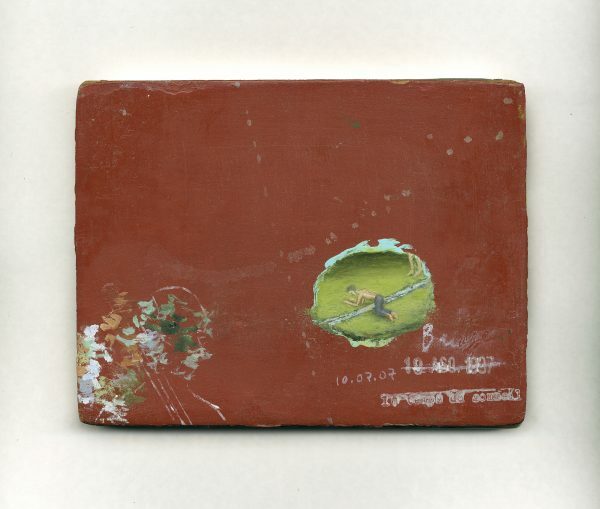 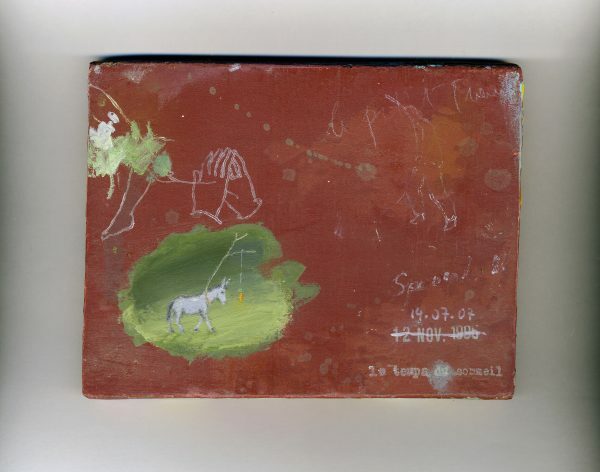 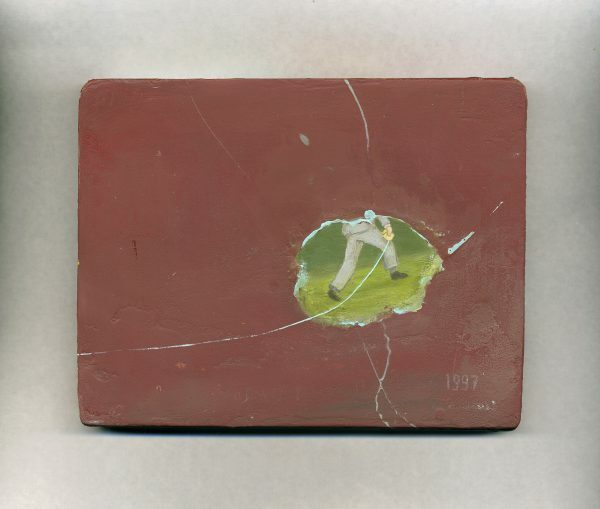 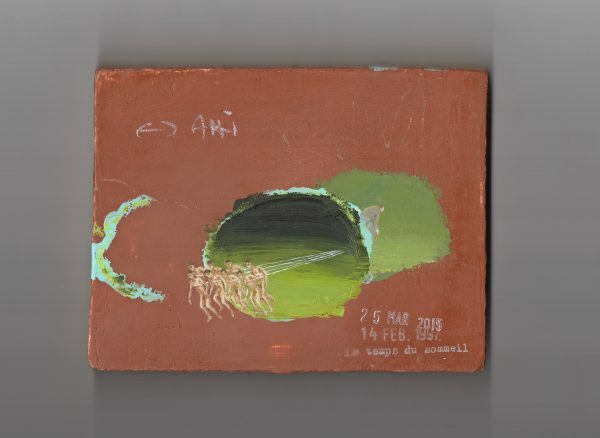 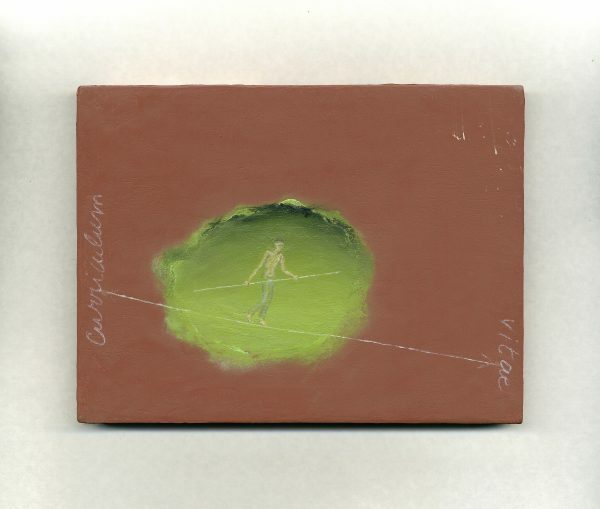 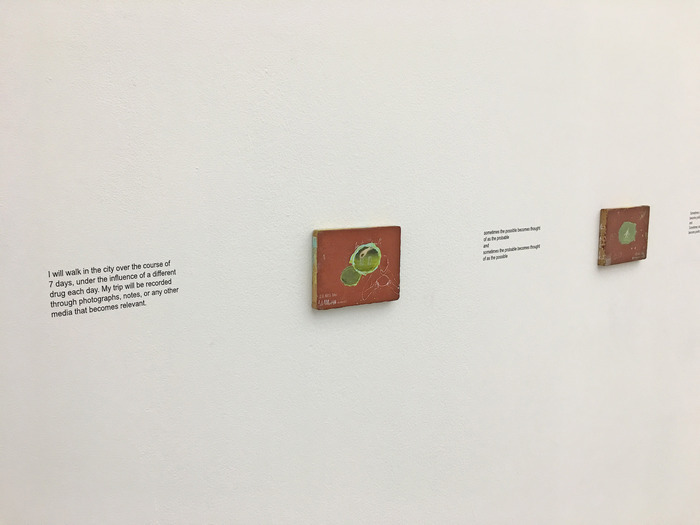 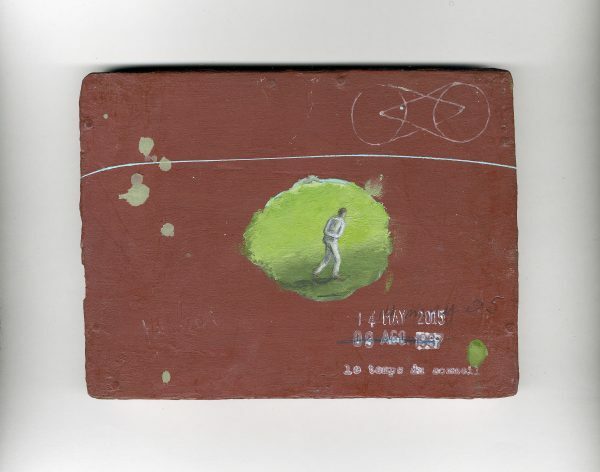 They are deliberately unfinished: Alÿs occasionally alters or even overpaints individual panels—a stamp visible on the painting notes the date of each new intervention. 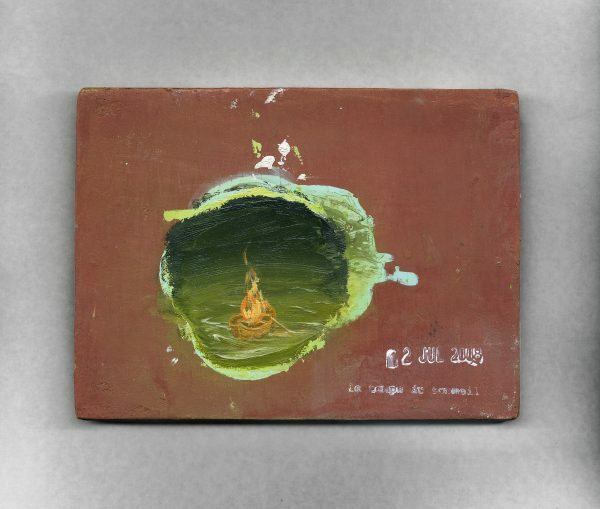 They depict miniature scenes and often look like snapshots of simple gestures and activities that, upon closer inspection, appear to be fairly absurd. 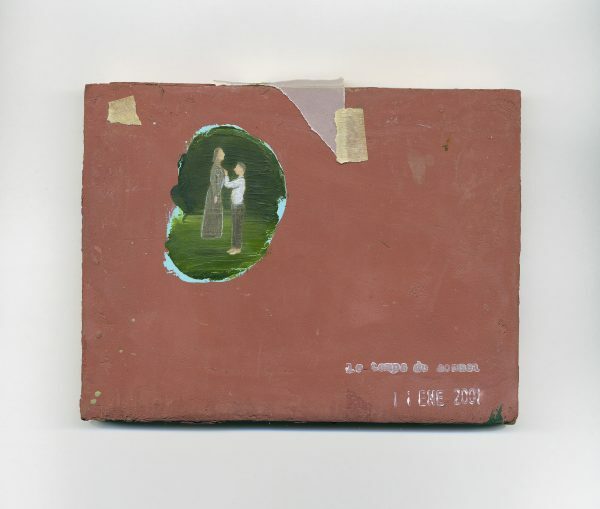 A man in a gray suit is the protagonist in many of these tableaux, sometimes joined by other actors in similar outfits, while a few pictures also feature a woman, often in a red dress. 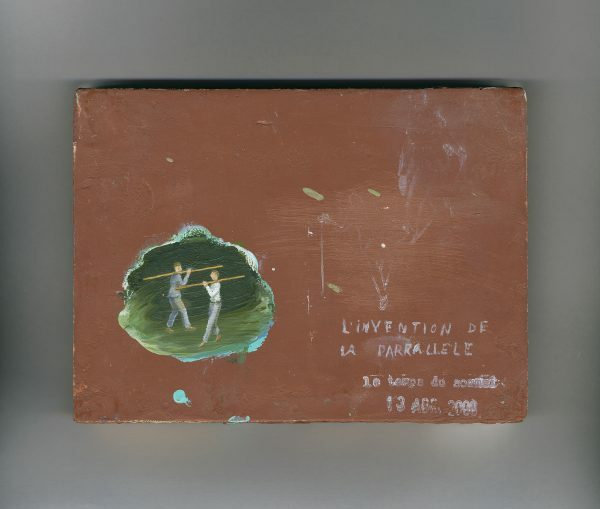 Le temps du sommeil describes the poetic evolution of Francis Alÿs’s creative practice. 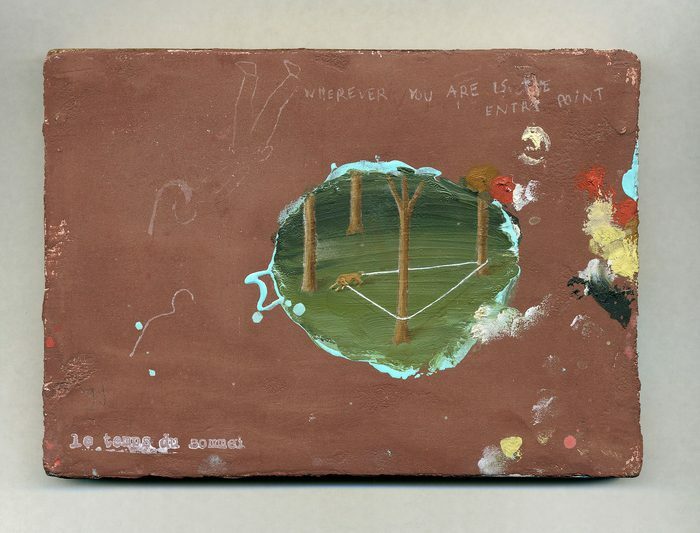 The pictures illustrate all that he cannot speak of. 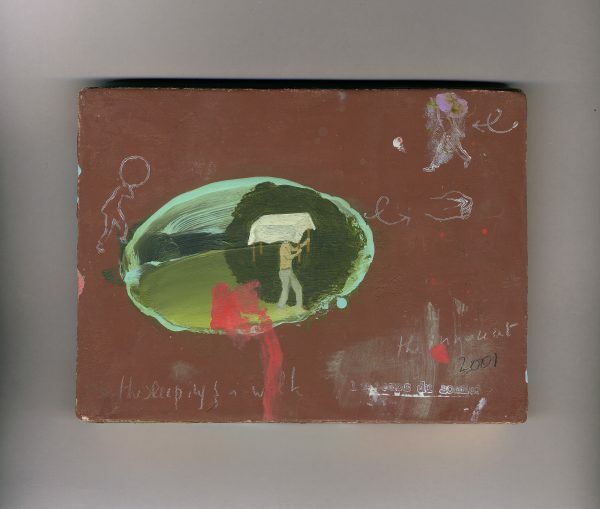 Another salient aspect of his art is the interweaving of word and image through the titles of the works. 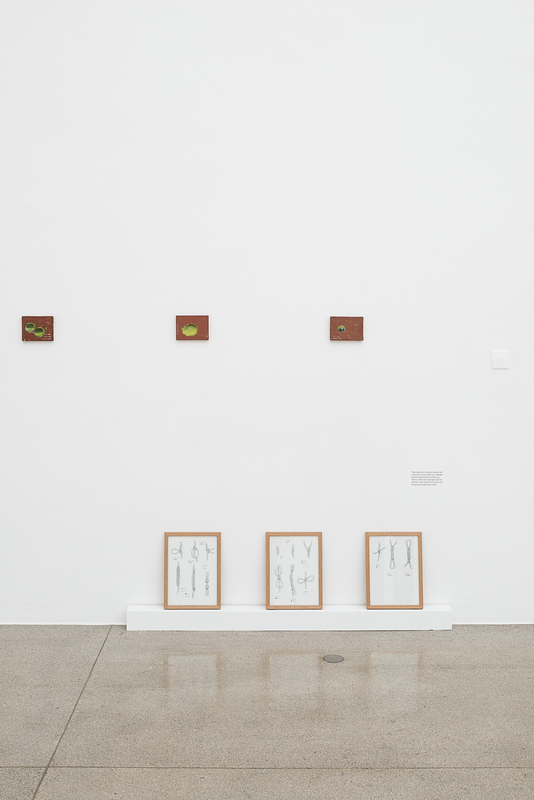 The visitor should not be misled by the fact that the pictures of Le temps du sommeil are presented together with conceptual writings and ideas for interventions and works. 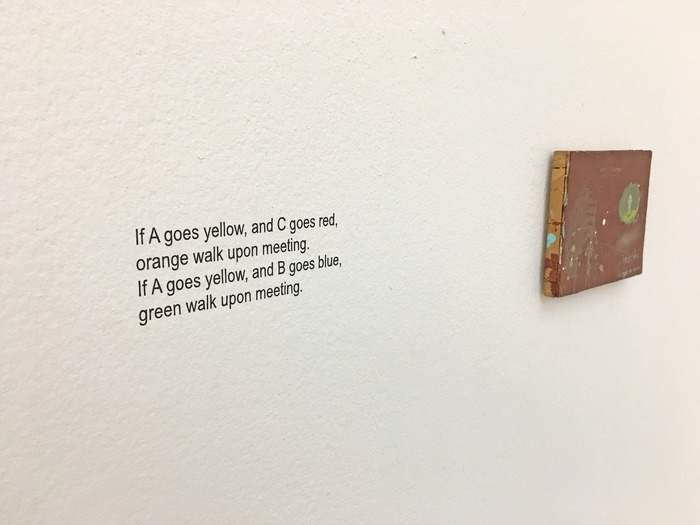 The texts are not intended as annotations to the images; they enter into a dialogue with them, shining a light on the complex interrelationship between visual and verbal communication. 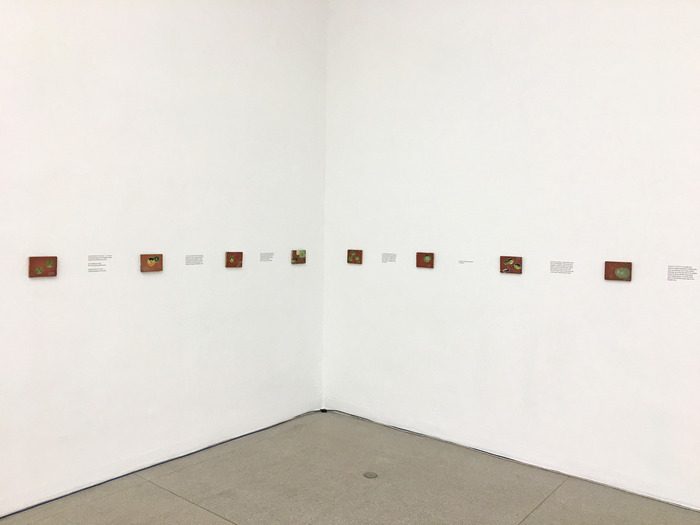 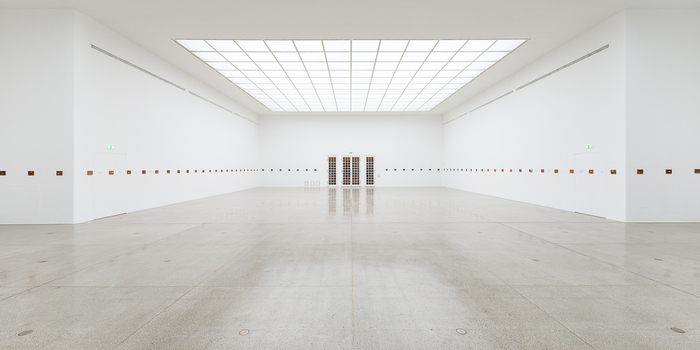 Le temps du sommeil is shown together with the films Paradox of Praxis 1(Sometimes Making Something Leads to Nothing) (1997) and Paradox of Praxis 5, Ciudad Juárez, México(Sometimes we dream as we live and we live as we dream) (2013), which trace an arc from his early oeuvre to his most recent video work. 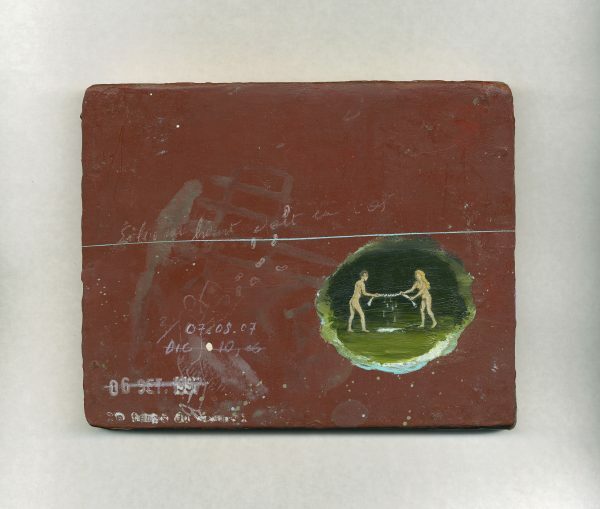 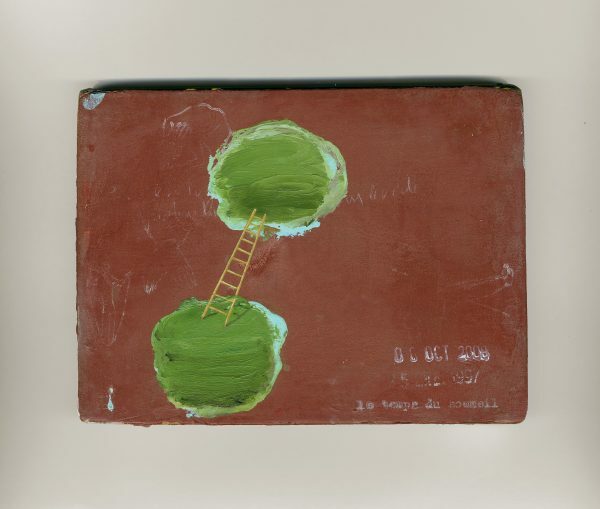 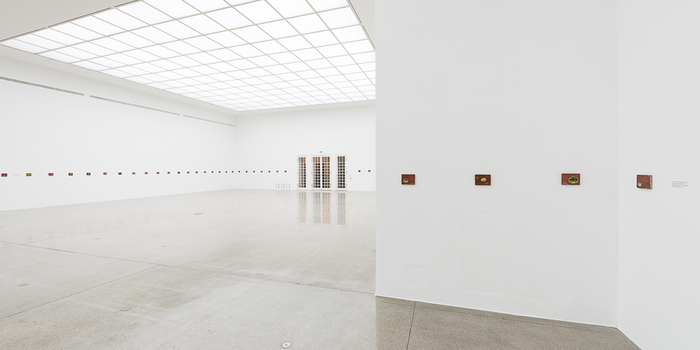 © Francis Alÿs and Secession, Vienna, Austria.